On the road to recovery after cruelly rupturing his ACL in Adelaide’s Qualifying Final win over Greater Western Sydney. 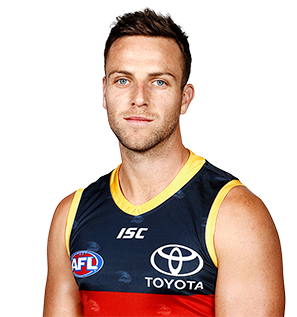 An important member of the Crows’ backline, Smith ranked No.1 at the Club for metres gained, and second for effective kicks and rebound 50ms in 2017. Enhanced his reputation as one of the most damaging half-backs in the AFL. Smith ranked third in the competition for total metres gained (12,328m) and second for average metres gained per kick (38m). Led the Club for rebound 50ms (87) and only conceded 15 goals for the season to direct opponents. Celebrated his 100th game in Round Three against Richmond with a best-on-ground performance, collecting 26 possessions and slotting two goals. Finished sixth in Adelaide’s Club Champion award despite missing the final match of the minor round due to concussion. 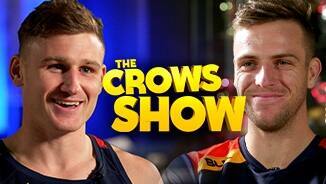 Signed a new contract that will keep him in Crows colours until at least the end of 2018. The All Australian continued to be one of the most damaging running players in the competition in 2015. Smith ranked fifth in the league for total metres gained and averaged the most distance gained per kick (38.3m). 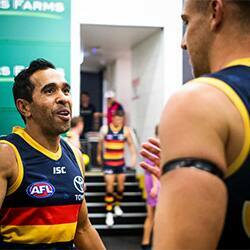 He was also No.1 at Adelaide for rebound 50ms (90). 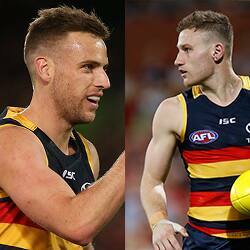 The Crows were at their best when Smith was breaking lines with his explosive run and carry. Two concussion scares interrupted his early 2015 campaign, but he finished the season as one of Adelaide’s form players. Set to play is 100th AFL game early in 2016. Smith emerged as one of the premier rebounding defenders in the competition in 2014. The line-breaking Crow, who played every game, ranked No.1 in the AFL for long kicks (136) and was second in the League in rebound 50ms (109) and metres gained (12,131m). He kicked 11 goals, including several trademark long-range bombs, and was also dangerous when released onto a wing. Smith earned internal and external recognition for his career-best season, finishing fourth in Adelaide’s best and fairest award and gaining All Australian selection, which saw him represent Australia in the International Rules series. A fractured collarbone sidelined Smith for the opening four rounds of the season, but he played every game from then on. The damaging Crow was used predominantly across half-back, where he defended well and also used his run and carry to counterattack. Smith collected a career-high 29 possessions in the final round of the season and will be looking for more midfield opportunities going forward. Celebrated his 50th game in Round 19. 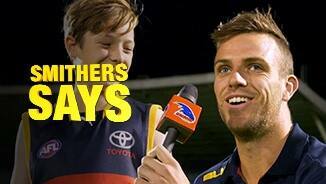 The young wingman was recast as a defender under assistant coach Darren Milburn in 2012. Smith played 22 games in his second season, performing shutdown roles on star opposition forwards, including three-time Geelong premiership player Steven Johnson, and also providing plenty of run. 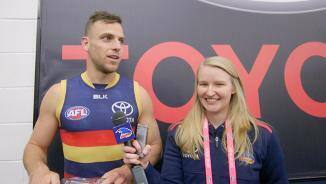 His long-range goals became of his game a feature late in the season, and his performance throughout the finals series earned plaudits from the Crows coaching staff. Smith impressed in his debut season, playing 14 games and showing maturity well beyond his years. The dashing 19-year-old averaged 13 disposals, picking up a career-high 23 touches against Port Adelaide in round four. The lean-bodied onballer added 3kg of muscle mass over the pre-season and should become a mainstay either in the midfield or at half-back in 2012.